Asus is the Samsung of a few years ago. The company wants to flood the Indian market with as many smartphones as possible. Each phone will have a minor difference in specifications and price, and possibly one major USP that the company will tout to no end. 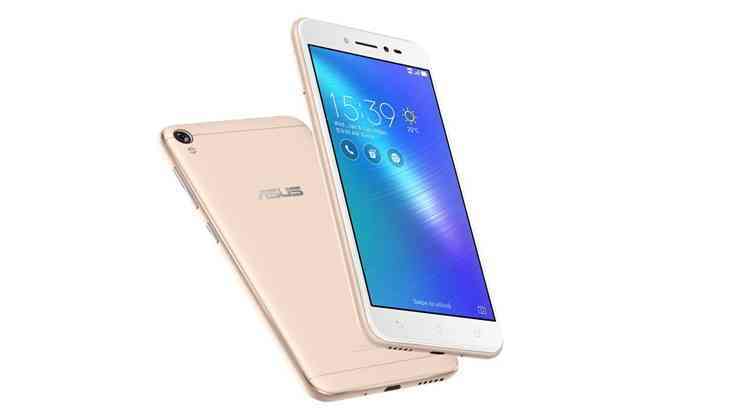 In the past couple of months, Asus brought out two phones with beastly batteries - Zenfone 3 Max and Zenfone 3S Max, and now it's come out with a whole new segment. The Zenfone Live focuses on, as the name suggests, live videos. The question arises as to why we need to artificially improve our looks during live videos? Well, read on to find out whether Asus' gamble in the video segment has paid off or flopped. There are a few of you out there who simply care about what the smartphone is like on paper, rather than its real world performance. It's got a 5-inch HD display (1280x720 pixels). Under the hood it has a Qualcomm Snapdragon 400 processor, 2GB of RAM and just 16GB of storage space. Thankfully though, the storage is expandable to 128GB. For the photography fans, the phone has a 13MP rear camera, along with a 5MP front camera and LED flash. It's got a 2600 mAh battery. The phone also comes with Android Marshmallow, and it's got its own ZenUI skin layered on top, which isn't very good. The Asus Zenfone Live's display is not unlike any of the other smartphones the company has launched in the past few months. It's as unoriginal as the OnePlus 5, but far more ugly. The phone has a metal unibody design with volume and power buttons on the right side. There is a front camera at the top and a micro-USB charging point alongside a single speaker grille and headphone jack. The omission here is a fingerprint sensor. Odd, as it is available in a lot of other budget phones these days like the RedMi4. The capacitive touch buttons at the bottom are not backlit, and that offered more than a few moments of "how do I get back to the previous page" at night. It is comfortable enough to hold in the hand with its rounded edges, and not very hefty. Plastic, the primary material for the phone, gives it a not-so-premium feel. The display itself doesn't stand out as the colours lack any sort of pop. Viewing angles are decent enough for two people to watch a video, but binge watch anything and you'll be quickly tired and want to put the phone away. I've tried out the Moto G, Lenovo K6 Power, a number of Xiaomi phones - all phones that are cheaper - and this one is the slowest. Couple the old Snapdragon 400 processor with just 2GB of RAM and you get an entirely unsatisfactory performance. On top of that, the current ZenUI skin is based on Android Marshmallow, an old version of Android. Saying all of that, the phone is easy and simple to setup and use, and comes with big icons and a relatively light theme. Gaming though is a no-go. When using the phones from the Max series, I was able to play games like FIFA fairly comfortably. With the Zenfone Live, even a lighter game like Temple Run was lagging. The battery is just 2,600 mAh and gaming or binge watching won't get you far. I routinely, with medium usage and no gaming, got less than a day out of the smartphone's battery. I was constantly on the lookout for a charger and that was quite annoying. If you use the phone, purely for what it is intended for, then the performance is entirely satisfactory. I'm not going to get into the camera specifically. Instead, I'm going to talk about the 'beautification' feature they've now integrated with 'live' videos because that is the USP of the phone. Asus had integrated its 'beauty' feature with the camera, a while back. Now it is taking that one step further by integrating it into live videos. It's simple to use as the app has a 1 to 10 scale for the filter you want to apply for the video and it can be adjusted anytime whilst live. The one problem here is that you can't go live from the app. The BeautyLive will redirect to Facebook. The BeautyLive feature is integrated into both the front and rear cameras. Whilst this is nothing exceptional, it does a good job of making oneself look better while broadcasting. The video actually looks pretty good. The camera does a good job of stabilisation during videos. The front camera is on par with all other phones in the price range and is ample enough for the occasional upload on social media. The question comes down to who will be buying the smartphone based on its USP. The answer to that lies in another question; who uses Facebook Live the most? Simple answer: media houses. Now, individuals will have a hard time justifying purchasing this phone, unless you're a huge fan of Asus' smartphones. Will media houses be buying this phone to conduct their future Facebook Lives? Possibly. Will they equip everyone with one of these phones? Probably not. It's light and easy to use and has a camera with a unique twist. That may push some businesses to purchase a couple of units but individuals won't be lapping up to buy it. It's not like one wouldn't recommend this phone for those 'live' enthusiasts, but with better alternatives from Chinese companies, the Zenfone Live is more hit than miss. Maybe an update to Android Nougat (which needs much less space and RAM to operate) will vastly improve the performance and experience. Or simply, maybe a price cut, from the current Rs 9,999, might get many more customers lining up for the smartphone. What would be even better for Asus, is if the 'beautification' feature makes its way on to the better smartphones from the company. Also if the feature is extended to other social media networks like Twitter.